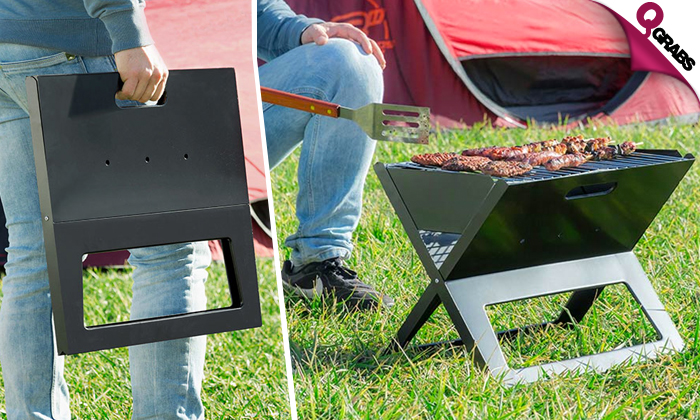 Slim grill folds flat for easy transportation. Suitable for use with charchoal and wood. Built-in wind breaker for sides. 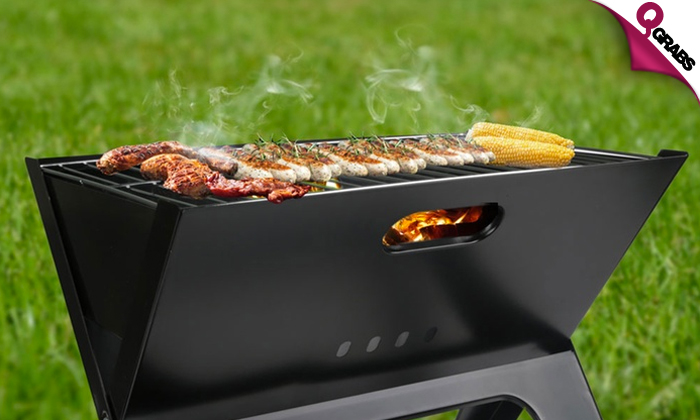 Sleek black steel frame and chrome-plated cooking grill. Enjoy the great weather with BBQ at 57% off!